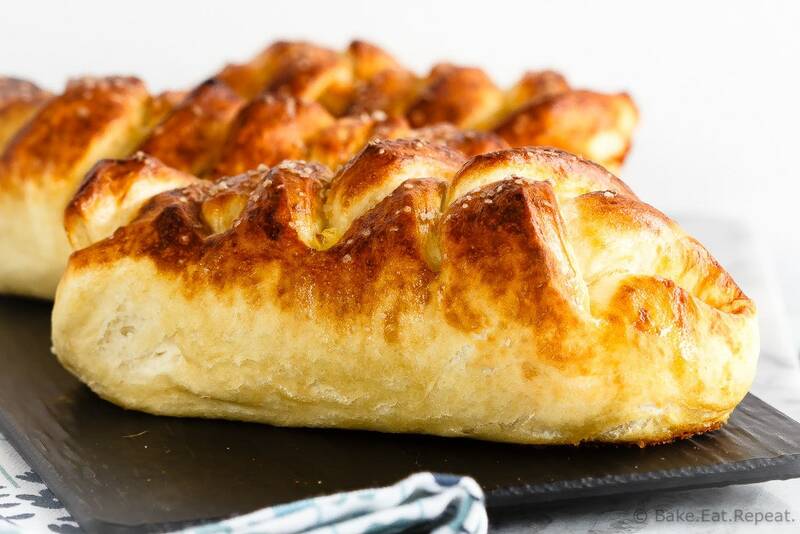 These braided ham, egg and cheese pretzel rolls are the perfect hand held meal. Plus they’re easy to take along with you for breakfast or lunch on the go! So this recipe happened a little bit by accident. I love it when new favourites happen that way. I wasn’t actually planning on making these ham, egg and cheese pretzel rolls. I was trying thinking of what to make for supper one day, and it had to meet many criteria. It needed to be portable because we wouldn’t be home. It needed to be made ahead of time because we had to be at the dentist between school pickup and suppertime. And it needed to be a full meal that I could easily pack for 5 people, that all five of those people would actually eat, and that would be okay warm or cold because all 5 people would be eating at different times in between the dentist, skating lessons, a hockey game and swimming. Why is it that all of the activities have to fall on the same night? For some reason this seems to happen a lot. This is why my kids are only allowed to do one thing at a time! I don’t think it would be possible to fit anything else into one evening. Not while keeping my sanity, at any rate. These ham, egg and cheese pretzel rolls fit the bill that night. Everyone loved them – but really, what’s not to love? 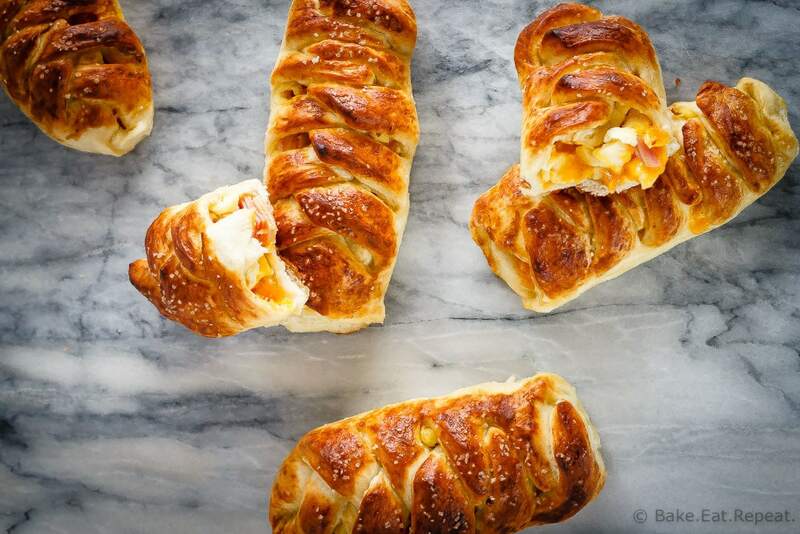 Scrambled eggs, ham and melty cheddar cheese all rolled up in a salty pretzel braid. 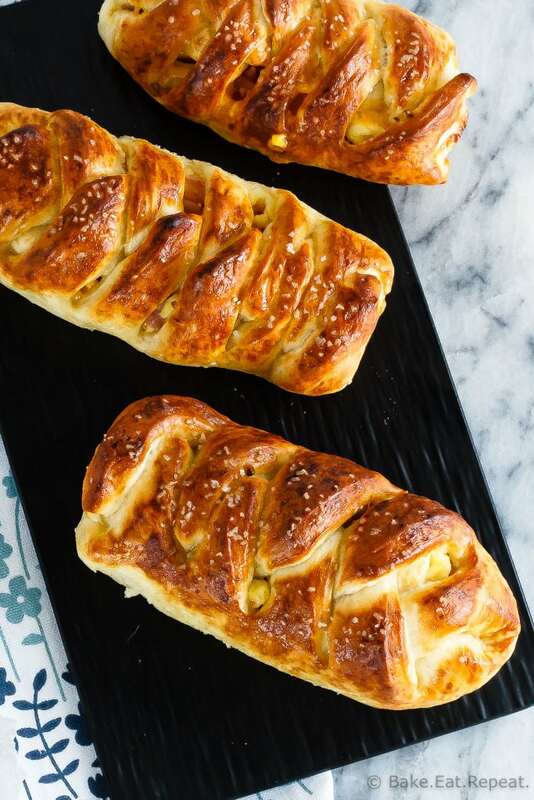 These portable, hand-held pretzel buns are a full meal all on their own. Plus, everyone was fighting over the leftovers to bring for lunch the next day. I’m pretty sure that means that this accidental meal was one that will be made on purpose many more times! 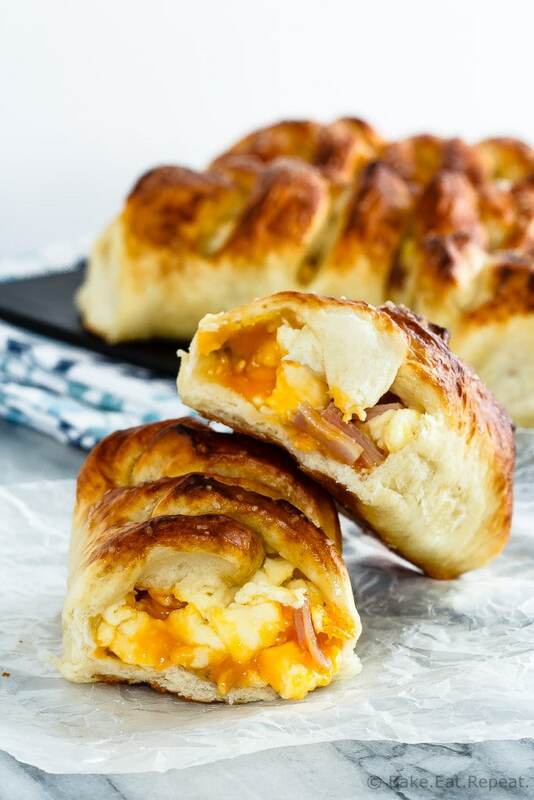 I’ve also shared this Ham, Egg and Cheese Pretzel Rolls Recipe over on Food Fanatic. I used to live in Philadelphia and an Amish bakery sold something like this. They were crazy delicious and I want one right now. Yours look even better! Pure beauty. I mean seriously, does breakfast get ANY better than this?! Hint: the answer is no.